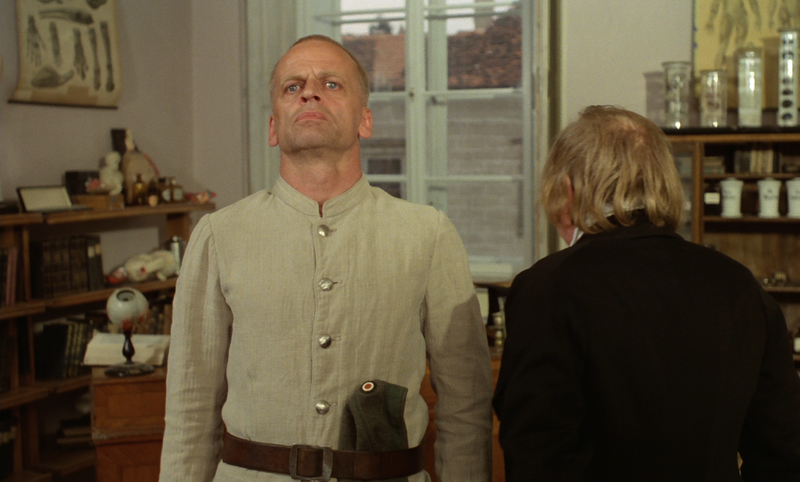 This is a post that's been a long time coming, a look at the classic Werner Herzog/ Klaus Kinski collaborations, already famous, but really put on the map for modern audiences by Anchor Bay's famous Herzog Kinski DVD boxed set in 2004. It's been requested and at the top of my list for a long time, but I've been quietly putting it off because I knew it wouldn't really be worthwhile unless I had the UK Werner Herzog blu-ray Collection to compare the US releases to. Well, now I've finally secured a copy, so here we go! I've also gone ahead and updated my coverage of The Enigma of Kaspar Hauser, to include the BFI blu of that film to the comparisons. 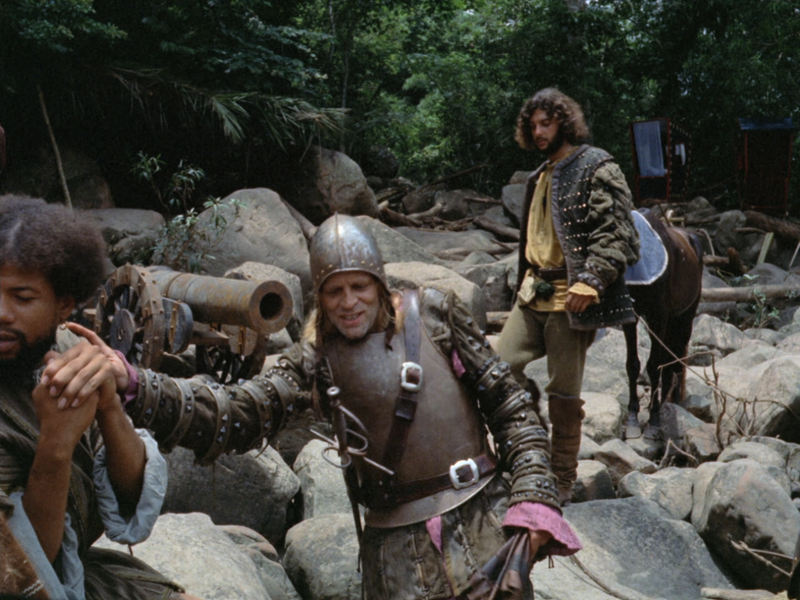 We start off in 1972 with what many consider to be not only the best of Herzog and Kinski's collaborations, but the best film either of them have made in their entire careers. 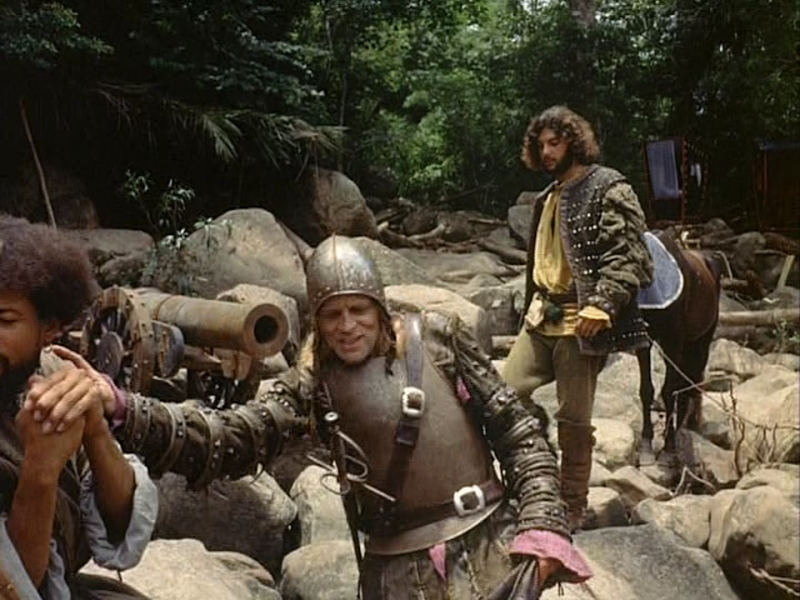 Kinski plays the titular conquistador, Aguirre (in fact, he plays the title role in all of their films together) who winds up leading a large party of Spanish explorers on a mad journey through the Amazon in search of a lost city of gold. What makes this film such a success is that so many elements are operating in rare form all at once. You've got Kinski, of course, who inhabits the role in a both over the top yet authentic way. 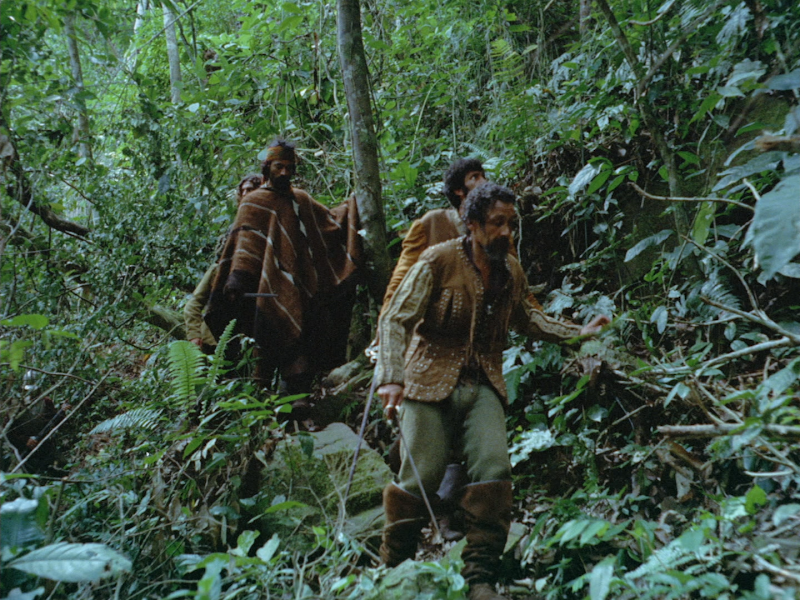 And his performance is housed within this wild documentary-like experience captured by Herzog leading his cast and crew through the actual jungle. You can feel how much of the characters' struggle is real life experience being captured on camera. 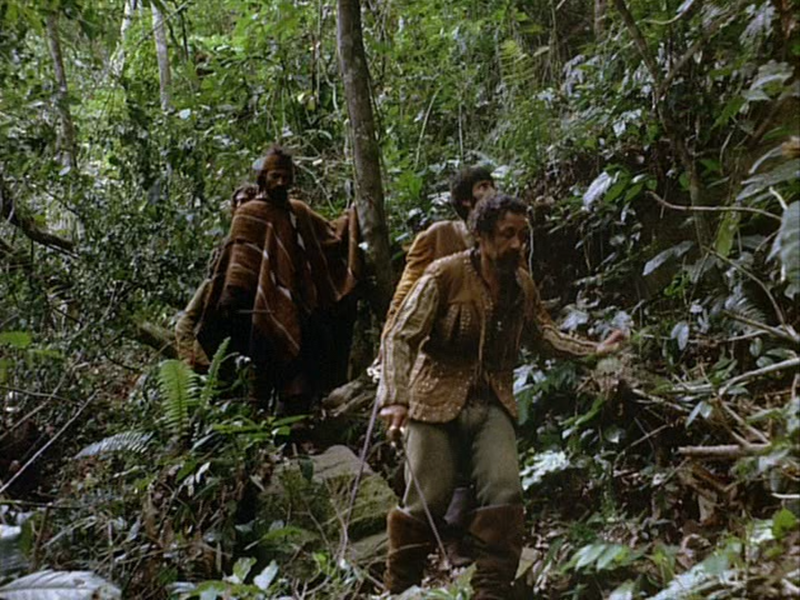 And then it's all set to the music of Popol Vuh, who's always been of Herzog's super secret weapons, but here tops even most of his other scores, again placing the viewer completely in this deadly voyage. The jump from DVD to blu is big in all of these, but it's the biggest here because, disappointingly, Anchor Bay's DVD of Aguirre was interlaced. This was a pretty high-profile, fancy boxed set, so even in 2004, that was a little shoddy. Fortunately, none of the other films in their set have this issue. Anyway, we can put that frustration happily in the past now, because we have much better blu-rays. All editions retain the original, fullscreen 1.33:1 aspect ratio, though the blu-rays do zoom out a tiny extra bit, and frame the image slightly lower. 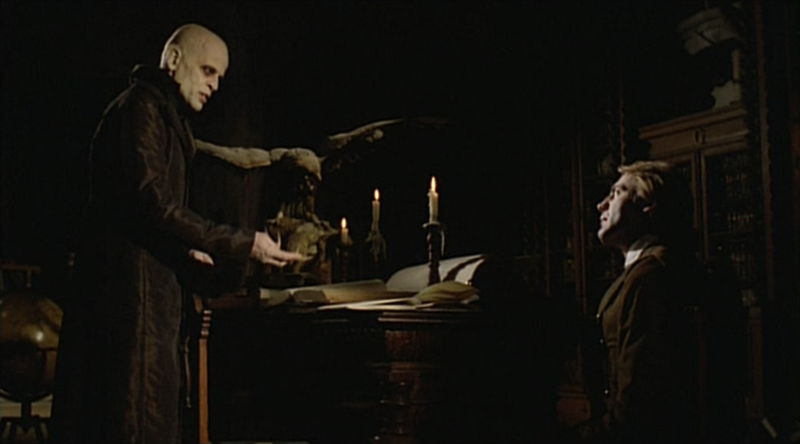 The Shout and BFI discs seem to share the same master, which has decidedly cooler color timing than the DVD, which is a step forward, since the old timing seems to have a flat, brownish hue to the whole image. The difference between the two blus is marginal, with BFI's disc pushing slightly redder and it's blacks are very slightly deeper. Because it's going to come up later, I'll just say explicitly that there doesn't seem to be any black crush on any of these discs. All the releases offer roughly the same audio and language options, with a newer German 5.1 mix, plus the original mono tracks in both English and German. And they all include optional English subtitles, even the DVD. Of course, the blus feature uncompressed tracks, with Shout in DTS-HD and BFI in LPCM for the monos and DTS-HD for the 5.1. All of the discs include the one main special feature, an audio commentary with Herzog and moderator Norman Hill. They did commentaries for a lot of Herzog's films together, and if you've never heard them, they're pretty terrific: very informative, engaging, and with no lulls or lost focus. Besides that, each disc includes the trailer, and the blus also include a stills gallery. But here's where Shout really sets itself apart, they include a second audio commentary with Herzog and moderator Laurens Straub. Yes, the two commentaries are often redundant and repeat many of the same anecdotes, but there are also enough unique bits to make it worth listening to both for more serious fans. 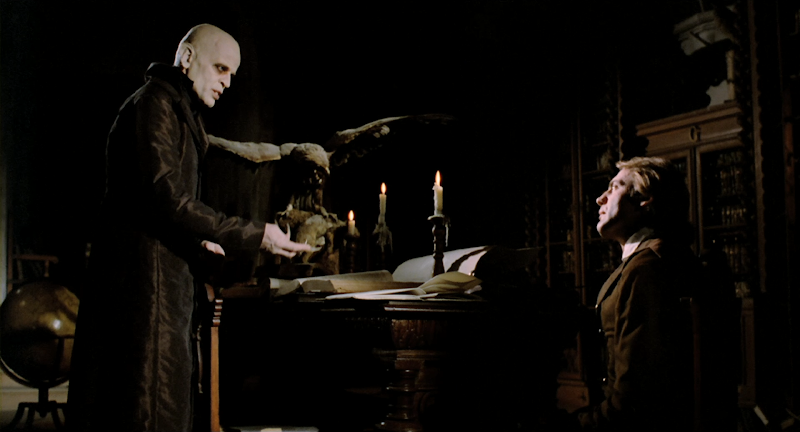 Seven years later, Kinski and Herzog reunited for the second feature, a remake of the classic German expressionistic silent film, Nosferatu. For the most part, they stick pretty close to the original, and Stoker's story, but when they do deviate, it's delightful. 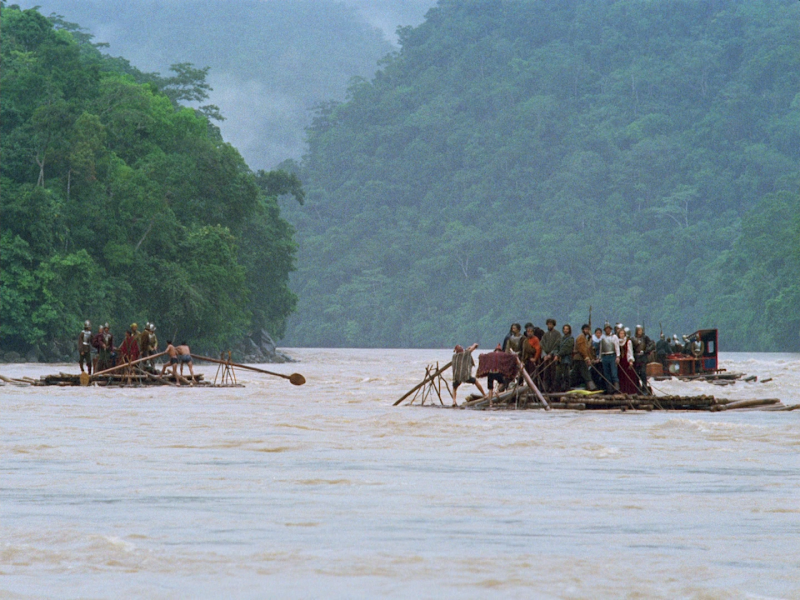 Where Herzog delivered shockingly authentic adventure in their previous effort, this entry is all about mood. And we see a very different Kinski here, giving a very subtle and controlled performance in almost complete opposition of how we saw him in Aguirre. In fact, one of the things that makes these series of films is so much fun is that while Kinski is so distinctive and utterly himself on the one hand, we're also getting five very different sides of him in each film. Each role is an exciting discovery. 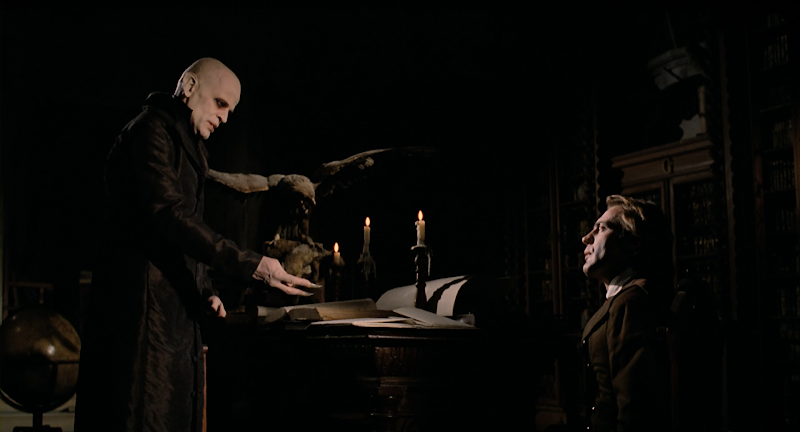 Now, before we get into the comparisons, there's one more thing we have to cover: the two versions of this film. Both the blu-ray sets include the German and English versions of Nosferatu. The DVD set only includes the German. 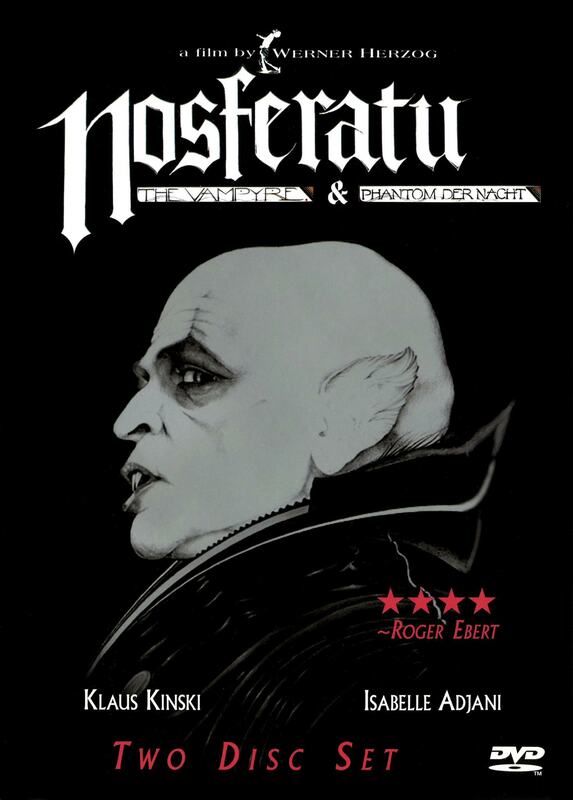 Because of that, I've got Anchor Bay's 2002 separate DVD release of Nosferatu[pictured, left], which included both versions of the film. This is important to distinguish because we're not just talking about two different dubs. 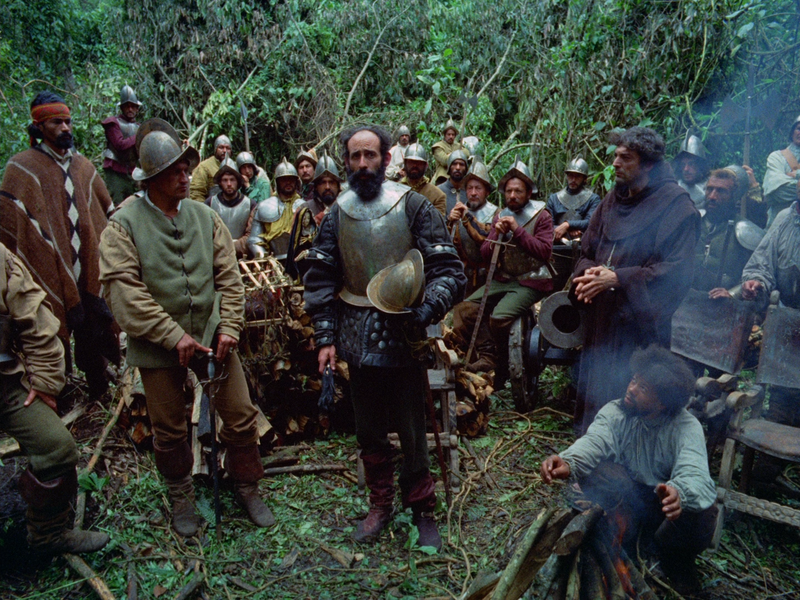 Herzog actually shot different takes of every dialogue scene, with the actors speaking in English and German, and created two nearly identical films with mostly unique footage. With that said, though, exterior and silent shots, that don't feature any dialogue, are the same. So below, you'll notice two very similar but un-matching shots of Nosferatu reaching out to Harker. That's not because I mismatched the frames - they can't match because they're two different takes. 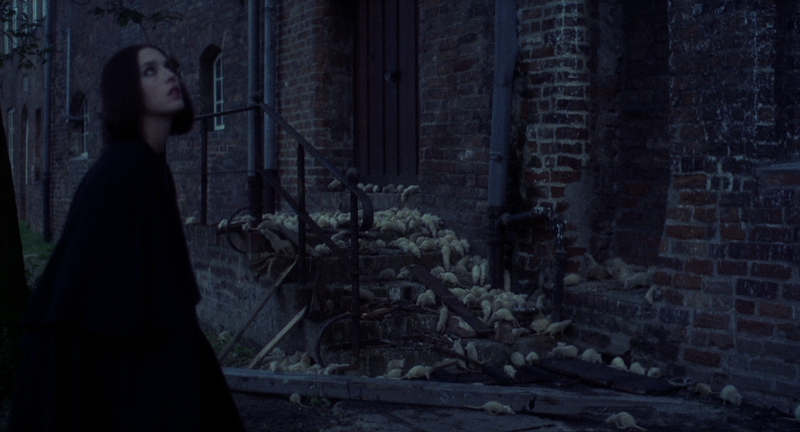 But then the second set of shots, with Harker and the gypsies, are identical, because both versions of the film used the same shot. 1) 2002 AB DVD; 2) 2014 SF blu; 3) 2014 BFI blu. ...And here is the German version. 1) 2002 AB DVD; 2) 2004 AB DVD; 3) 2014 SF blu; 4) 2014 BFI blu. And now, here's a genuinely matching shot across both versions and all releases. 7) 2014 BFI blu (German). The differences between the English and German versions, in terms of PQ at least, are nominal. But between the different releases, things are definitely different. Let's start with the aspect ratio. The DVD is slightly window-boxed to 1.80:1, an aspect ratio which is corrected by both blus to 1.85:1. Again, there's no interlacing anymore, but there sure is a lot of noisy compression on the DVDs, which is happily cleaned up by the blus. But it's a little too cleaned up on Shout's disc. Look how smooth everything is. 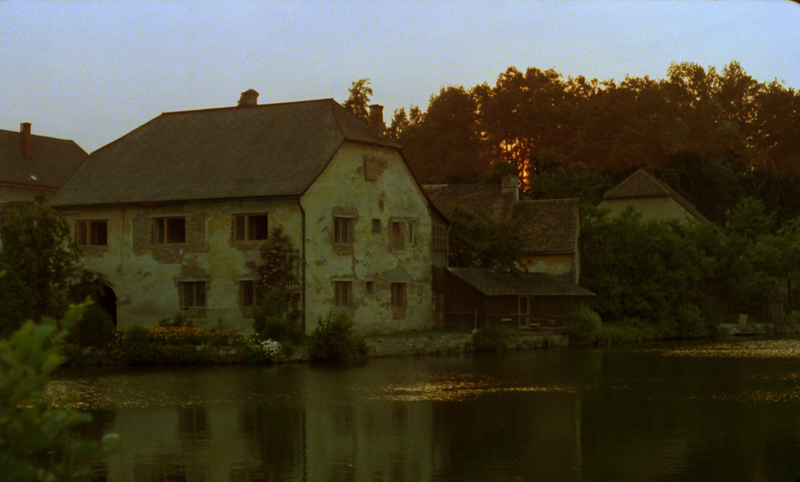 Compare that to the BFI, where we see natural, if light, film grain throughout the image. Shout definitely did some tinkering to polish the image. It doesn't look terrible, or as distracting as it is on The Enigma of Kaspar Hauser, but it isn't as faithful or naturally filmic. 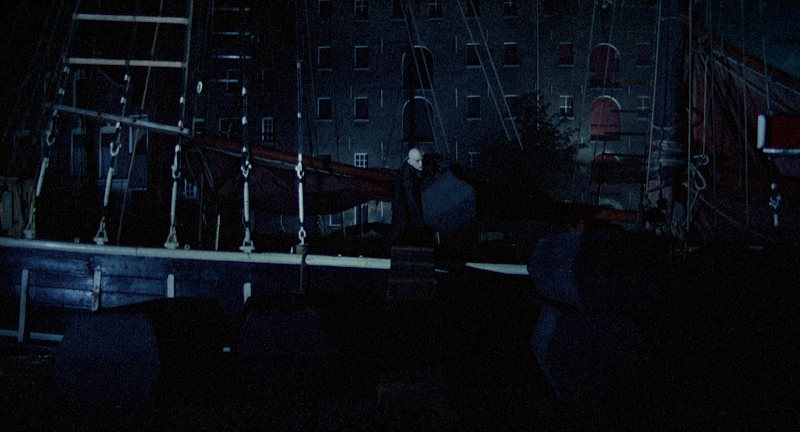 Also, it isn't too distracting, but there is some black crush on the Shout blu, where details in the heavy shadows which are visible on the BFI disc are erased on Shout's. So naturally the German version has German audio, in both the original mono and a newer 5.1 mix, and the English has English audio, in mono only. Across the board. Shout bumps the audio up to DTS-HD, and BFI has the 5.1 in DTS-HD and the monos in LPCM. All of the versions have removable English subtitles on the German versions, but only the Shout blu-ray also has optional English subtitles for the English version. Special features-wise, it's a pretty similar situation to Aguirre, except every release also includes a neat little making of featurette. It's only about fifteen minutes, but gives a great peek behind-the-scenes. 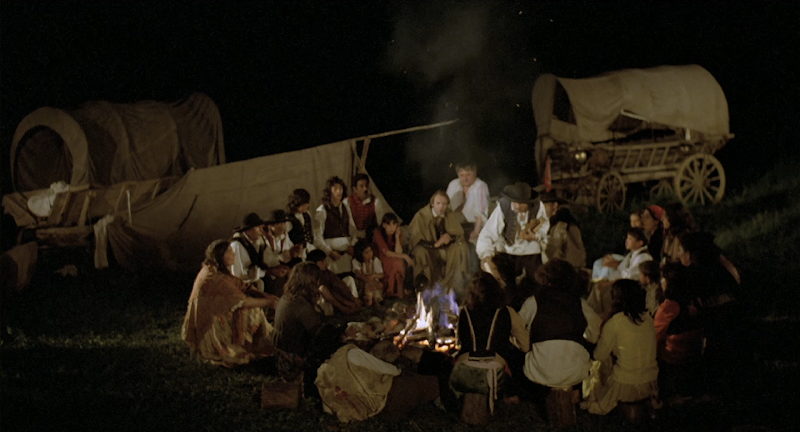 Otherwise, they all have trailers and another audio commentary with Herzog and Hill, while again Shout steps ahead of the pack with a second Herzog and Straub commentary. Again, both commentaries are great, but casual fans won't need both. 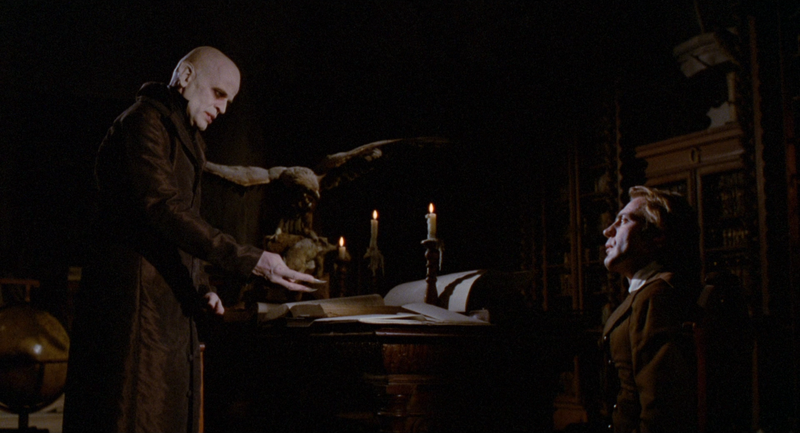 The blu-rays also have an additional stills gallery. 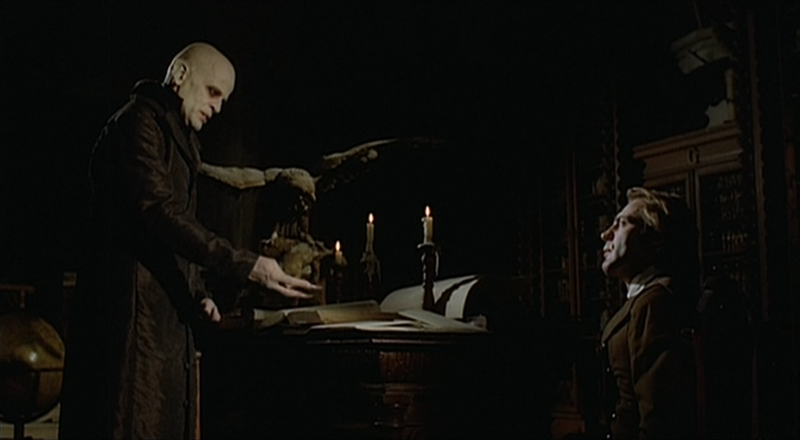 That same year, immediately after Nosferatu, Herzog called Kinski back for Woyzeck, an adaptation of a famously unfinished German play from the 1800s. 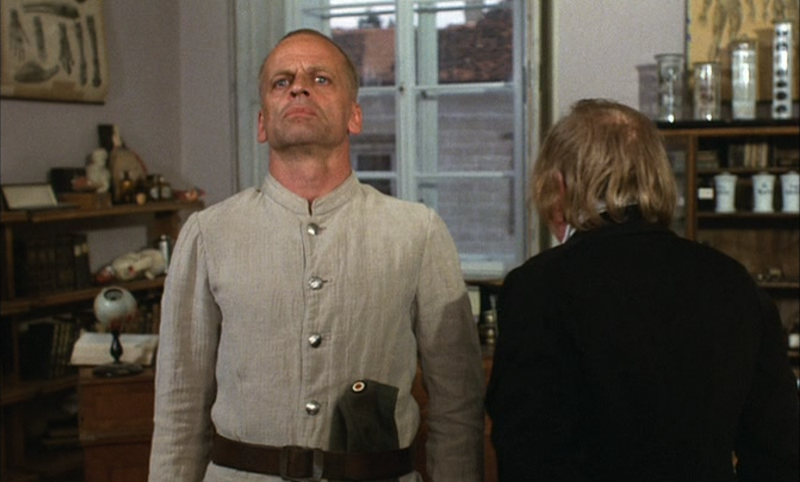 Here we meet a very meek, submissive Kinski; a working class man who's pushed around by his community, and ultimately becomes the agent of a tragic crime. The broad melodrama of the play makes this film maybe a little less compelling than the previous films, but it's still a very effective crime story with some fascinating subtext, plus Kinski finds an excellent co-star in Eva Mattes, who fans would remember from Stroszek. The film is pillar-boxed to 1.66:1 across the board, but the blu-rays pull out to find a little extra information along all four sides. Interesting is the shift in color timing to be slightly less natural, but instead embrace the dusty yellow tones of the location. Grain and detail on the blus are pretty close, but I'd give the slight edge to BFI again. Speaking of "again," we have a little more black crush going on, though in this case it's very slight, in part perhaps because the film has less deeply dark scenes, but also because Shout handles them a bit better this time. Like, in this case, I really had to closely look at screenshots to see if I could spot any detail that was dropped, whereas the swaths of empty blackness in Enigma were distracting to witness during my initial viewing. This film only comes in German mono with removable English subs no matter which disc you choose, though the blus are lossless DTS-HD (Shout) or LPCM (BFI). There are no audio commentaries this time, which is disappointing. The DVD is completely barebones apart from the trailer, and BFI only adds a stills gallery. But Shout steps ahead once again with an hour-long audio-only interview with Herzog and Straub. It's essentially a mini-audio commentary, focused entirely on Woyzeck, that plays over a single still image. It's about as good as the other audio commentaries, though being stuck staring at a single frozen image for an hour is a little dry. 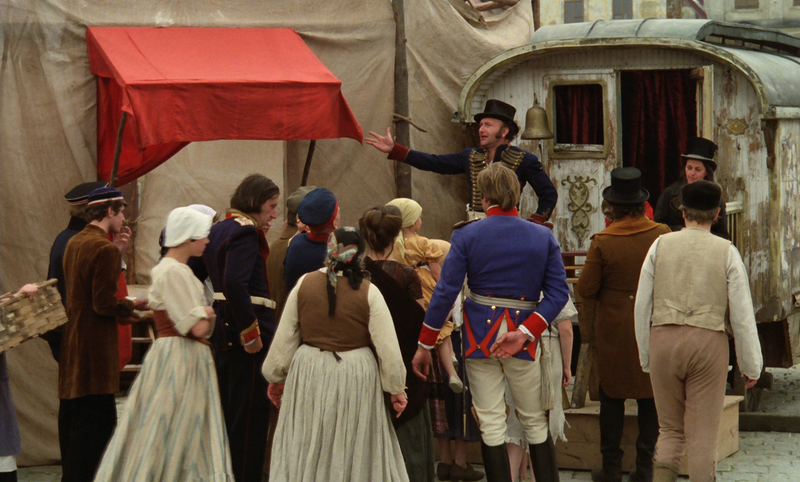 The Shout blu has a nice, half-hour doc called Portrait: Werner Herzog. 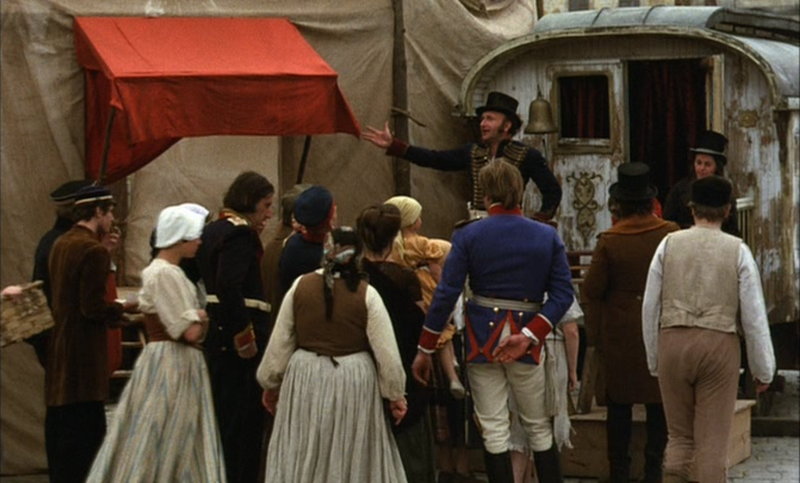 In turn, the BFI set has a roughly hour long doc called The South Bank Show: Werner Herzog, which runs an hour in length. They share so much footage in common, that you can essentially describe Portrait as an abridged version of The South Bank Show. But there's some compelling stuff that Portrait lost, including Herzog describing an early memory that inspired a scene in Heart of Glass and an interview with Herzog's first wife, as well as lighter stuff, like Herzog training with his soccer team. And there is a tiny bit exclusive to Portrait, too. And for now, I think I'll wrap this half up. Join me tomorrow for Herzog/ Kinski, Part 2, where we'll look at the other three Herzog/ Kinski films, and even a related Criterion release. TTFN.